Your garage door is a vital entry point to your home. When it is functional and performing as designed, the safety and security of your property is easier to manage. Don’t let a compromised door disrupt your peace of mind. 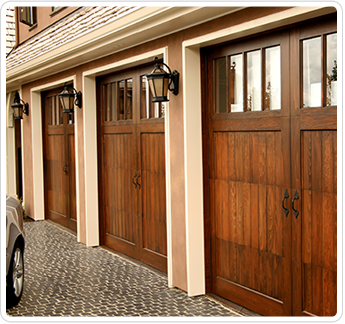 Our garage door company in Plano, TX, allows you to maintain a strong and sturdy door. We work hard so that your garage door remains fully operational. No two properties are ever alike. Homes come in all shapes and sizes--as do doors and their supporting systems. Choose a garage door contractor who has the experience and expertise to take on your vital repair or replacement projects. For more than 18 years, our company has helped commercial and residential property owners have greater confidence in their investments. We make a point to listen to your concerns first before making any recommendations. This responsive approach to service ensures you attain the service you need--all at sensible rates. For us, there is no project too big or too small. Whether you are moving into a new home, planning a remodeling project, or assessing the security and accessibility of your business, our team is here to help you attain the ideal doors for your properties. Count on us to provide accurate service that generates durable, long-lasting results. Our services include garage door repair and replacement. A broken garage door limits your accessibility and can also pose a danger to your guests and family. Restore the condition of your property with our garage door services. Thanks to our extensive training and experience, we perform comprehensive repairs. We are work with the popular brands and manufacturers, so you get the solutions you need. Our technicians can also perform specialized repair services for specific parts, including the garage door springs, rollers, tracks, and panels. Contact us to request an estimate from our garage door contractor. We proudly serve commercial and residential clients throughout Frisco, Plano, Mckinney, The Colony, Prosper, Aubrey, Lewisville, Little Elm, and Allen, TX and the surrounding areas.